"Bless the Lord oh my soul and all that is within me. Bless His holy name"
I was driving up Hwy 3 toward Yazoo City, Mississippi just enjoying a beautiful morning. I wasn't looking for a "quantity" of photos, but I was looking for a few "quality" shots. 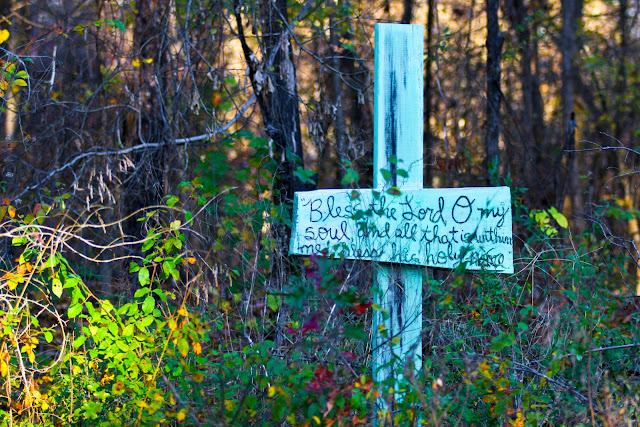 This cross was on the side of the road, kinda deep in the woods. It caught my eye as I was driving about 35! It was the shot I was looking for.